Becoming part of a franchise can be a fantastic way to jump start your career and enjoy going into work every day. Many franchised businesses directly service the public and being the owner of an auto repair shop can allow you to provide for the local community. If you’re searching for franchise opportunities in your area, but aren’t sure where to start, Meineke can help you bring your career goals into fruition. 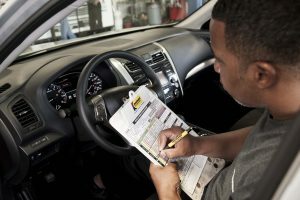 The focus of any Meineke Car Care Center is to help its customers receive quick and efficient service so they can focus on the more important aspects of their life. By becoming a Meineke franchisee, you can help us maintain this quality of service and provide the same care to your neighbors. With new cars being produced every year and even more becoming older, the car care business is always booming and you’ll never have a dull day when working in an auto repair shop. If you’re interested in taking advantage of one of the many franchise opportunities available with Meineke, give us a call today at (888) 918-4522. To learn more about franchisee qualifications, startup costs, and to download our franchise kit, visit our website MeinekeFranchise.com.